Well, the synopsis gives nothing away and I don’t want to spoil it either. You have to read these books in order; Lawless then Soulless. Even better if you read King and Tyrant first. While you’re at it, you may as well read The Dark Light of Day and Dark Needs, too. It’s all gritty and raw, and so, so good. Not for the faint-hearted; we are dealing with bikers. Soulless is one wild, crazy, terrifying, exhilarating ride. Prepare for shocks; the twist kind and the gory kind. I want Rage’s story! Read this book. I loved every minute! Chick Lit. At one stage, I couldn't get enough of it. The humour and ridiculous situations the heroines find themselves in. The heart break and crushing blows when things don't go as planned. I binged, as I always do when I get in the mood for one genre, and discovered so many wonderful gems. Some of them are below. I've read many books from each of these authors, and I still look out for their names on the shelves. As always the blurbs are from Goodreads and you can click on the covers to go to the GR website. Grace is a mess, but I loved her all the same. This book is funny with awkward moments and some heart-wrenching scenes, too. This heartfelt novel by bestselling author Elizabeth Noble celebrates family, friends ... and the glorious, endless possibilities of life. The discoveries that these sisters make as they read letters from their mother help them to grow and reconnect, not only with each other, but also with their mother from beyond the grave. Elizabeth Noble knows how to wrench the emotion out of her readers. Aw, one of my favourites. This was a hilarious ride. Jimi is a fave male lead of mine. Loved his story. I love the magic in Cecelia Ahern's books, it keeps the readers mind ticking over, trying to figure out what's really going on. More magical stories. I read the Sugar Queen from this author, first, and then went searching for the rest of her books. This is the first of a series. Definitely worth a read. 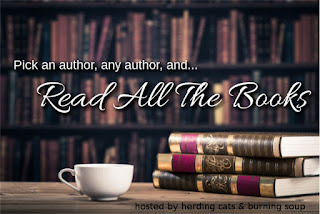 You know reading is my fixation and today is the day where I get to ramble on about books, and genres, and authors, and books! Psst. Would love it if you could join in with a comment below. It's more fun that way. So, paranormal faves. You know I love J.R. Ward and the BDB. I think I've mentioned it a few times, but today we're focusing on young adult paranormal. Fixation Friday! Today we're talking BIG love. Those stories where the characters are in deep. So deep that they'd sacrifice their own happiness in order to keep the other person safe. Is it a healthy kind of love? Probably not, but it's fascinating to read about. I have a lot of books on my shelves (digital and physical), and, yeah, I've read heaps of them. It's very hard to keep them all catalogued in my brain. So this is actually a difficult thing for me to pick a few BIG loves. Don't groan, but my first pick is Twilight by Stephenie Meyer. Come on. The love they had for each other totally consumed them. They could barely function without each other and Edward kept berating himself for going anywhere near Bella when he knew it was putting her in danger. What draws me to Jay's books? The mish mash of colourful characters, their awesome names, the heart and the struggle poured in the ink of the pages. Speaking of ink, several of them have some, and a few piercings, too. Jay McLean has been on my TBR list for too long. I’m so, so glad I was finally able to read this book. And, hooray, it’s a trilogy. Kyler Parker finds himself in trouble with the law when he lets his anger get the better of him, and his fists do the talking. A returned soldier, he has trouble adjusting to the life he left behind. When he’s offered an opportunity for salvation, justice and revenge, he takes it. He doesn’t have much choice, but doesn’t think too much about what the consequences are for his future. Until he meets a girl called Madison Haynes who appears to have a bitter sweet relationship with the letterboxes in their building. She’s his new neighbour, and she might just be worth more than the revenge he seeks. She might be everything. But who is she? Madison is so intriguing. She’s really kept under wraps and you can feel Ky’s frustration, but also the sense that they understand each other without needing to know much. Ky is that wonderful combination of protective, loyal and tortured. Talk about intriguing and compelling. Bit of a shaky start to the year, but we're getting into the swing now. I hope your year has had a promising start. and Fixation Fridays—where I shared two book reviews. Music Monday is history. Sorry, all you music lovers out there. I love my music, but I'll be sharing it in the form of playlists with each book I release, and that'll be over on my website (see that purple button on the menu? Yup, that's it). Warbling Wednesdays is now Warbling Me, and I'll be posting that over on my website on a monthly basis to coincide with my newsletter content. Fixation Fridays has transformed into me discussing my favourite reads, authors, genres, things that I don't like to read and whatever else comes to me. I'll still be doing reviews, but they'll be posted at random, or with the release tour. I'll be doing some teasers for Sensing You very soon. Can't wait to start sharing those on my social media pages. I'm working on some swag for the tour giveaways, too. The first four chapters of Remembering Home are now on Wattpad. If you're a Wattpad fan check out my profile HERE. I've been reading The Consequences of Seduction by Rachel Van Dyken. Oh my god, this series is such a good escape from life. It's humour therapy. I love a dark, shocking read, and a good contemporary, but breaking them up with a slapstick rom-com is a fantastic idea. And Max... Max. Max, Max. He is... well, you should read this series. The man is a hilarious handful. I finally read my first Jay McLean. I will be sharing my review of Combative shortly. This author has been on my TBR list for a while, and I'm so glad I finally had the opportunity to sample her work. Check her out! Redemptive is out soon *does a happy dance*. Okay, so that's what's happening. Check out my picks and the month in review below.